(Bloomberg) — After more than two decades of improving mine safety since the end of apartheid, South Africa’s progress has stalled with an increase in gold-mining deaths. More than 50 people have died in the country’s mines in 2018, roughly the same number as this time last year. While annual death tolls are far lower than the 615 in recorded in 1993 — the last full year of apartheid — 2017 witnessed the first rise in 10 years. Most of the gold mining fatalities are due to workers being crushed under falling rocks, caused by more frequent tremors as companies dig deeper for the precious metal, in some cases reaching depths of more than 4 kilometers (2.5 miles). The government is investigating Sibanye Gold Ltd.’s operations, where over half the gold mining deaths occurred this year. The death toll is the bleakest possible illustration of the human cost to mining in South Africa, where nine-hour shifts drilling narrow seams miles underground are a daily ordeal for many thousands. 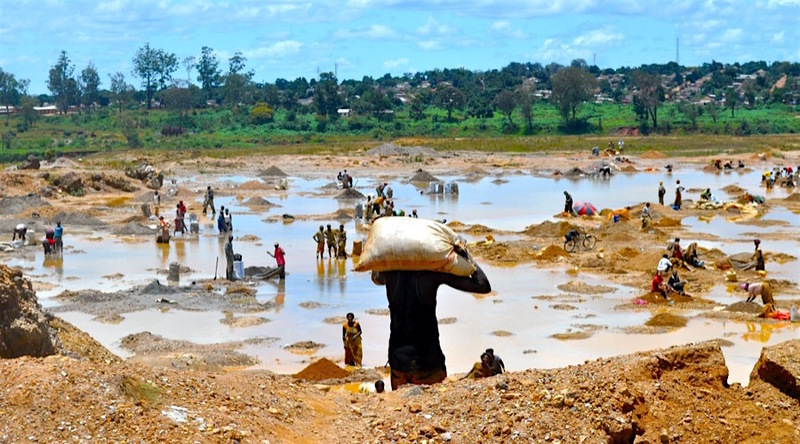 It also raises questions about the long-term viability of an industry that underpinned the economy for decades, but faces competition from cheaper, shallower mines from Ghana to Canada. While South Africa’s producers insist keeping miners safe is their first priority, taking mines deeper and deeper poses severe challenges. The main problem is geology. Pressure from billions of tons of overlying rock results in tremors as gold is extracted from narrow seams, putting the country’s labor-intensive industry close to the limits of human endeavor, according to Nick Holland, chief executive officer of Gold Fields Ltd., which mines South Africa’s biggest deposit of the metal. The main problem is geology. South Africa’s apartheid economy was powered by the gold mining industry, which used drill-and-blast methods, an army of cheap black labor and minimal safety standards to become the world’s No. 1 producer. More than 24 years after the end of white-minority rule, a contraction in the size of the gold industry has helped curb fatalities, but the geology of South African deposits limits technological advances and keeps costs high. Gold is found mostly in narrow reefs that dip at 30-degree angles, getting progressively deeper after 130 years of mining. Workers can travel up to four hours a day through tunnels to work sites, where they drill holes in seams often just 30 centimeters (12 inches) wide and use explosives to break the rock. Getting progressively deeper after 130 years of mining. South Africa’s Department of Mineral Resources is investigating complaints that some workers are being victimized for refusing to enter what they feel are unsafe areas, Chief Mines Inspector David Msiza said on Aug. 17. Some deaths could have been prevented, he said. Some analysts are also concerned. More than 20 deaths at Sibanye this year undermines its investment case, Citigroup Inc. analysts Johann Steyn and Shashi Shekhar said in July. Citi said it’s concerned that Sibanye has reduced management oversight and mined high-grade pillars that were previously considered “too dangerous” to exploit. Sibanye has undertaken a rapid-fire series of acquisitions that transformed the company into a diversified precious-metals miner with both southern African and U.S. assets. Now, it’s seeking to acquire platinum producer Lonmin Plc. Steyn declined to comment further when called by Bloomberg News. Sibanye CEO Neal Froneman has said Citi’s information is inaccurate, adding that the company is committed to workers’ safety. Company spokesman James Wellsted said the analysts’ conclusions aren’t backed by data. Chief Mines Inspector Msiza declined to comment further on the government’s Sibanye investigation. Gold Fields has reported no fatalities this year, but its struggles to turn around its unprofitable South Deep deposit mirror some of the challenges facing South Africa. The company’s plan to end monthly losses of 100 million rand ($6.5 million) involves more than 1,500 jobs cuts. That has drawn a hostile reaction from a government facing a 27 percent unemployment rate. While South Africa has the world’s largest gold reserves after Australia, declining profitability may deter the investment required for more mechanized operations. 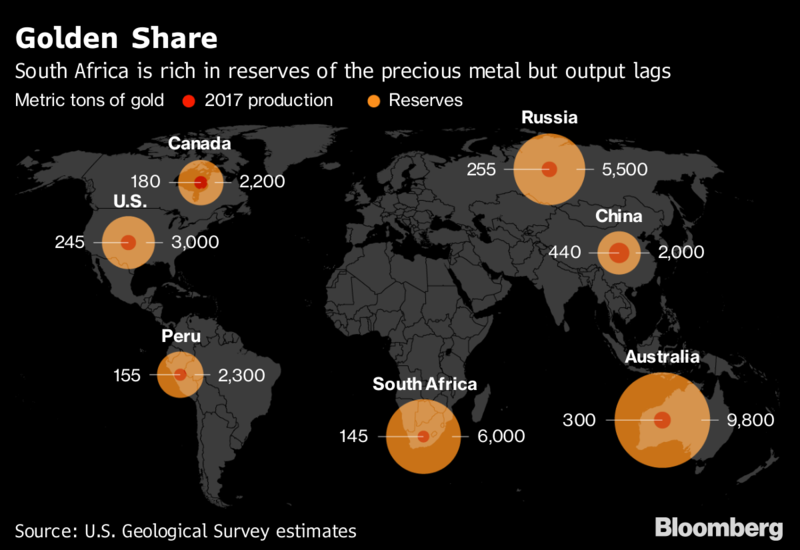 Gold Fields and AngloGold Ashanti Ltd., the world’s third-largest bullion producer, have whittled down their operations in South Africa and are investing in ramping up output in West Africa, Australia and South America, where mining costs are lower. Gold output slumped for a ninth consecutive month in June as producers struggle with a volatile currency and government rules that seek to redistribute the nation’s mineral wealth. Even if miners can restore profitability, the technology to mechanize South Africa’s gold mines doesn’t currently exist, according to Durrheim. “With current mining methods, seismicity will continue to be with us,” said Durrheim.